When will be Bering Sea Gold: Dredging the Deep next episode air date? Is Bering Sea Gold: Dredging the Deep renewed or cancelled? Where to countdown Bering Sea Gold: Dredging the Deep air dates? Is Bering Sea Gold: Dredging the Deep worth watching? Bering Sea Gold: Dredging the Deep is the 3rd spin-off series from Animal Planet's highly successful "Bering Sea Gold" franchise. The local dredgers are willing to bring gold up from the frozen depths in the harshest and most unforgiving conditions. The gold is cold but temperatures are running hot after a successful dredge leads to a bit too much celebrating and escalates into an old fashioned bar brawl that puts future mining at risk. 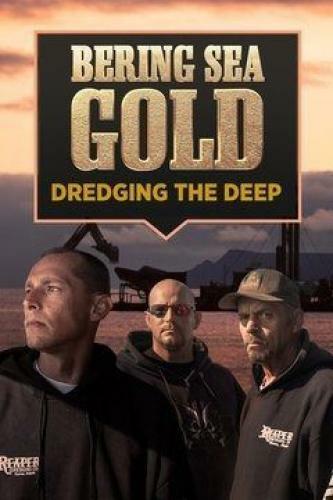 Bering Sea Gold: Dredging the Deep next episode air date provides TVMaze for you. EpisoDate.com is your TV show guide to Countdown Bering Sea Gold: Dredging the Deep Episode Air Dates and to stay in touch with Bering Sea Gold: Dredging the Deep next episode Air Date and your others favorite TV Shows. Add the shows you like to a "Watchlist" and let the site take it from there.